This 2-day module is an extension of our 3-day Advanced Development Workshop. 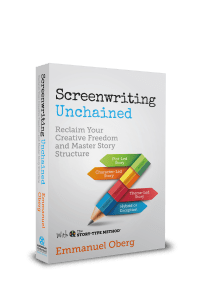 The participants are expected to have either attended the main workshop or to have read Screenwriting Unchained, as this module is based on the innovative Story-Type Method® introduced in the book/main workshop. Comedy Subgenres: What do they all have in common? Do you feel like the usual paradigms are draining the life out of your screenplay? Yet you’re aware that a good comedy isn’t just a succession of jokes? This workshop might be for you! Based on the innovative Story-Type Method®, this 2-day module explores essential tools for developing a successful comedy, either for Film or TV. For example, we’ll take a look at the way we can use Maslow’s Hierarchy of Needs to increase the chances of reaching our target audience in a comedy. We’ll also explore comedy sub-genres, the anatomy of a gag and how humor comes from conflict and surprise. We’ll see how high concept comedies are almost always based on dramatic irony, and how fully understanding this powerful tool gives you the edge in comedy writing (and pitching!). From designing a classical misunderstanding to shaping the structure of scenes, sequences and even the whole screenplay, this workshop should help raise your comedy writing skills to the next level. Using clips, examples and detailed case studies from successful comedies such as The Hangover, The Young Offenders, Tootsie, Midnight Run, The Circus, Life is Beautiful, There’s Something About Mary, Juno, Silver Linings Playbook, Groundhog Day, Bridesmaids, Parenthood, Friends, The Intouchables, As Good As It Gets, The Court Jester, Love Actually, Goodby Lenin, Little Miss Sunshine, The Apartment, 500 Days of Summer, The Heat, Adaptation and many others, we’ll look at the storytelling tools and techniques needed to master this very popular genre. Would you like to bring your script development skills to the next level and give your comedy project a total makeover? This package will train creative producers, development execs, story editors and writer/directors working for the same independent production company, making sure that everyone in the team is on the same page and equipped with the best tools when discussing comedies. A separate slate assessment service can be arranged (fee to be defined depending on the number of projects in development in the company). One or more extra day(s) for project work can also be booked alongside the workshop to allow meetings on individual projects immediately after the last day. See the next column for more details. This 2-day module is an extension of our 3-day advanced development workshop. Participants are expected to have attended the main workshop or read Screenwriting Unchained. While the Comedy Workshop is very practical and allows the participants to focus on a specific project if they want to, there is no time during the workshop to discuss individual projects (except maybe briefly during the breaks!). A number of extra days can therefore be booked along with the workshop to make time for specific projects to be read in advance and discussed with the creative team (producer, writer, director) immediately after the last day. This fee includes preparation work for up to four projects. It varies depending on the exact number of projects and the actual amount of work requested (for example, written notes given after the meeting are an extra cost). Beyond the strength and weaknesses of the screenplay, we'll try to look at the bigger picture and discuss which resources might be needed to move each project forward and which potential partner(s) might be involved. This version of the workshop is aimed at regional / national funds or organisations who would like to train a larger number of participants (usually up to twenty). It's also the option a studio would go for to train a larger development team and/or to train all the writers working with them in development. The content of the workshop can be fine-tuned to a specific audience (for example producers, story editors and development execs, or writers and directors). While the tools are the same, the approach can be slightly different depending on the participants' role in development. This being said, the workshop works equally well with a mixed audience as long as participants have roughly the same level of experience. "Emmanuel’s 3 day Advanced Development Workshop for Ealing Studios was very useful and stimulating. I’m a big fan of Emmanuel’s teaching style because it’s non prescriptive and flexible – tools not rules as he always reminds us. 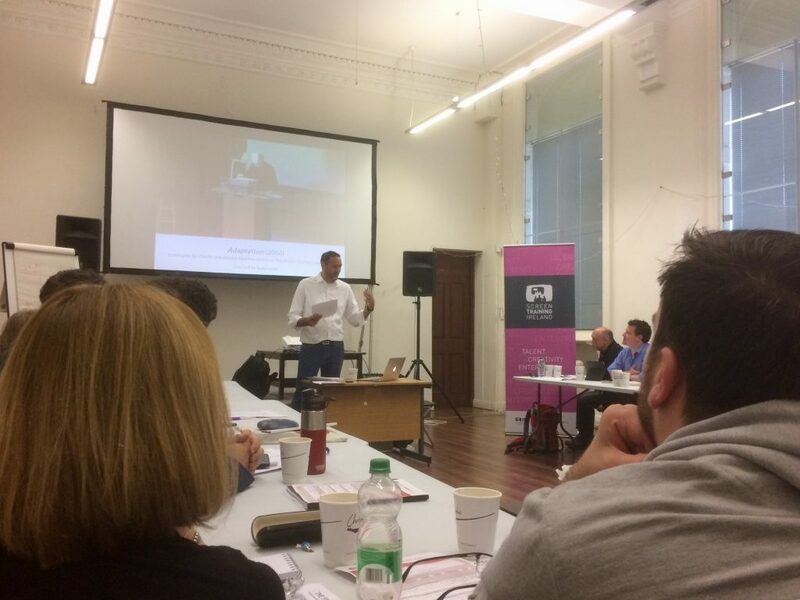 All the feedback I’ve had from the writers who attended was extremely positive, I think they responded particularly well to the collaborative atmosphere and interactive sessions." “Many, many thanks for such a stimulating and inspiring course. The tools are already coming in extremely useful and I hope will transform my approach to any new project from now on." "Thanks for a really useful and inspiring seminar - I have attended a number of development training courses in the past, so wasn't sure whether I would learn very much that was new. As it happens, I learned a huge amount and feel much more confident about going back into the development process with a brand new toolbox." "Intense but incredibly useful workshop that has helped take our script to the next level. Emmanuel is very friendly and doesn't force you to conform to any fixed methods. Instead he gives you the tools to explore your own ideas better." "The story-type method is a refreshing and liberating way of looking at story and structure. Emmanuel is full of enthusiasm, and his passion for good storytelling makes the workshops engaging and the method fun (yes, really!) to apply. I've gotten some solid new tools, as well as the bonus of a new surge of inspiration and energy into the development process. Thank you!" "I truly enjoyed Emmanuel's three-day insightful workshop on The Story-Type Method! Full of vital and resourceful tools to use in the development process. Emmanuel is enthusiastic with no fixed screenwriting rules - only great tools he skillfully shared with us. I highly recommend his workshop to anyone who works in the film industry. Thank you so much!" "Thank you so much for the workshop at Filmlab in Norway a couple of weeks ago! As a producer I found it extremely inspiring and very very useful for my future collaborations and my work in creative processes. I have now got more tools when analyzing projects, guiding my directors/scriptwriters or just to discuss the projects. For my particular team that participated we also now have a common vocabulary to talk about our project, which feels really great. I'm also impressed with the structure of the lesson and your lecturing - kept me concentrated and interested the whole way. Thank you so much!" "Without doubt the most inspiring developing session I have ever taken part in. Emmanuel is not only a very good speaker – but manages to use practical examples and group discussion to give the participants a very clear understanding of his thoughts on drama. Less dogmatic than McKee and Field he aims at giving the creative a tool box of dramatic elements rather than a formula for success. I strongly recommend this workshop to both writers, producers and funding bodies. Well done!" "One of the best workshops regarding script structure I've attended. It really makes you review and research what you know about books like McKee, Field etc. The books that I've been related to at my studies. Really enjoyed it and will try to convey it to my work with films I produce and students I tutor. Very inspiring and thoughtful. Thank you Emmanuel!" Please consider leaving a testimonial, it would be much appreciated!